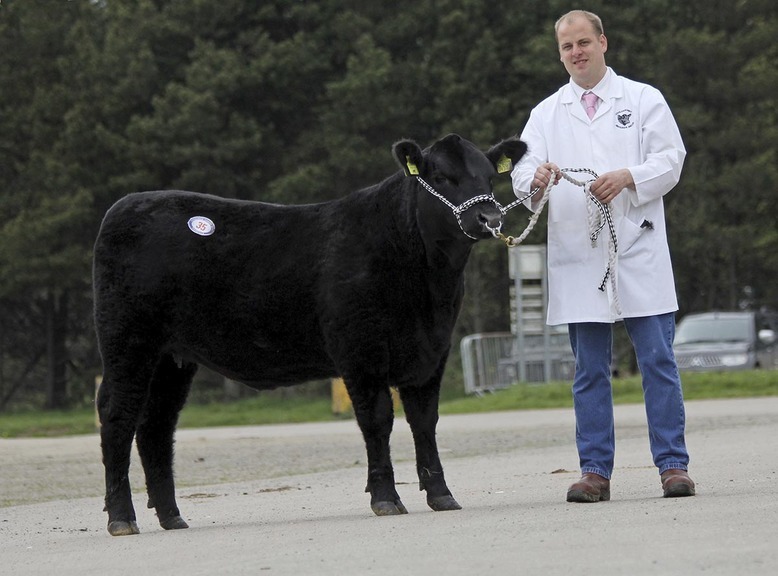 ABERDEEN-Angus bulls were in short supply at the native breeds sale held at Dungannon. Male champion Kiltariff Denver R816 was sold for 3,000gns. Three lots shared the top price of 3,000gns, with the bidding resulting in a 100 per cent clearance. Four bulls averaged £3,045, up £750 on the year. First to sell was male champion Kiltariff Denver R816, from Kenneth and Steven Bready, Rathfriland, Co Down. June 2015-born and by the Rawburn Edge J983 son Tonley Pele M841, it is out of Kiltariff Diana C604. It went home with Patrick Hawthorne, Downpatrick. Third placed Priestland Ben R696 realised the same for Sam McCollum, Bushmills. Out a home-bred Drumlone Euro daughter, this Tonley Palacios K715 son sold to David Cameron, Coleraine. The final bid at 3,000gns was Ballyvaston Euan S026, a January 2016-born bull bred by C.J. Strain, Downpatrick. 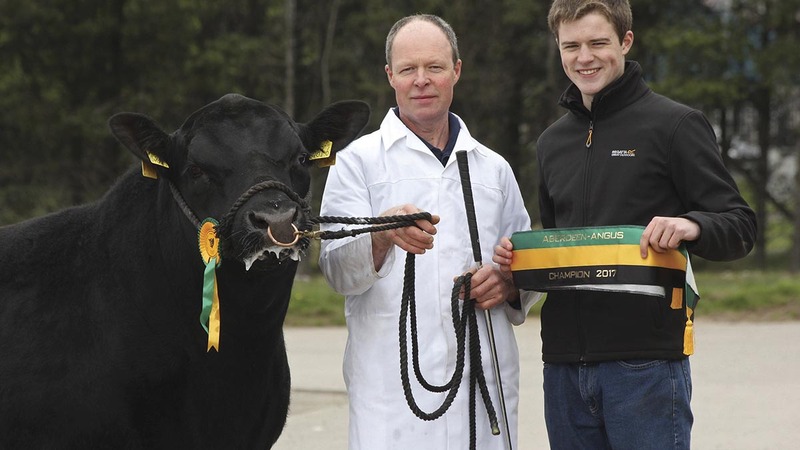 Sired by the three times All-Ireland champion Rosemead Karona J957, it was clinched by David Lyons, Armagh. Females peaked at 2,050gns, paid to Adrian and Graeme Parke, Strabane, for the heifer Coolermoney Ruth S596. A daughter of Netherton Mr Brazilian, it is out of Coolermoney Rosita J003, and was a winner at the Northern Ireland’s breeders club calf competition last November. It sold to Kenny and Leah Preston, Omagh. A four-year-old cow from the draft offering from David Colville, Belfast, was bought by Peter Todd, Beragh, for 1,500gns. Mosston Muir Elma N331 is by Mosston Muir Innes H202, and it sold with its January-born bull calf by Drumhill Jay Eric M607. 4 bulls, £3,045; 3 cows and calves, £1,505. Coolermoney Ruth S596 was top female at 2,050gns.